This paper presents an analytical study and treatment of an Arsenical Copper ewer from old kingdom stored in the Egyptian Museum in Cairo. Examination and analysis were carried out by using optical microscopy (OM), metallographic microscopy and scanning electron microscopy (SEM), with energy-dispersive spectroscopy (EDX) and X-ray diffraction (XRD). The results indicated that the ewer was made of copper-arsenic alloy; it had intended black layer which referred to the fertile soil. The ewer was made by cold-working and the spout was joined mechanically; it has three layers of alteration products with various compositions and morphology covered the substrate of the alloy. XRD results indicated that the ewer was subjected to many corrosive ions such as chloride and sulfur. This study provides useful information helped in kept this unique ewer. تناول هذا البحث دراسة تحلیلیة وعلاج إبریق معدنی یرجع إلى عصر الدولة القدیمة (2181-2613 ق.م)، سجل بالمتحف المصری بالقاهرة تحت رقم 3476cg ،ارتفاعة حوالی 10.5 سم .ولقد انتشر هذا النوع من الإباریق فی العصور القدیمة ، کما کان یوجد مع هذه الإباریق حوض مائی معدنی لاستخدامهما لغسل الأیدی فی الحیاة الیومیة ووجدا فی عدید من مقابر الدولة القدیمة لاستخدامهما فی الطقوس الدینیة، ویعلو هذا الابریق طبقة سوداء تمثل خصوبة التربة المصریة ، کما تمیز الإبریق بمصب (بزبوز) مثبت میکانیکیا بطریقة التفلیج من خلال شفه داخلیة و اخرى خارجیة. واستخدمت العدید من الطرق لدراسة وفحص وتحلیل سبیکة الإبریق ومرکبات الصدأ ،ولقد تبین من خلال الفحص البصری أن سمک جدار الإبریق رقیق وهش مما ساعد على فقد أجزاء متفرقة من بدن الإبریق، کما أوضح الفحص المیکروسکوبی باستخدام OM & SEM وجود العدید من الکسور والشقوق خاصة بالسطح الداخلی للإبریق ، کما تبین من خلال الفحص للقطاع العرضی لطبقة الباتینا باستخدام المیکروسکوب الالکترونی الماسح والمیکروسکوب المیتالوجرافی وجود ثلاث طبقات غیر متجانسة حیث یوجد النحاس فی الوسط یعلوه طبقة خضراء من مرکبات الصدا تبین من خلال التحلیل بحیود الاشعة السینیة و SEM-EDX انها من الباراتاکامیت أما الطبقة العلیا زرقاء اللون تبین من خلال التحلیل انها من الزرنیخ ومرکبات الصدأ التی تحتوی على الکبریتات والطبقة العلیا السوداء من التنوریت (اکسید النحاس). وتکمن خطورة مرکبات الصدأ فی التصاق مرکبات الکلوریدات من الباراتاکامیت بالسطح المعدنی والتی یزداد نشاطها فی وجود الرطوبة کما یؤدی التلف إلى هجرة عنصر الزرنیخ فی صورة مرکبات صدأ مما یؤدی الى تلف وانهیار کامل للسبیکة المعدنیة بمرور الوقت. ومن خلال هذه الدراسة تم اختیار أفضل طریقة علاج مع مراعاة الحفاظ على الأثر ثابت خلال مراحل العلاج وبعدها حیث تم العلاج میکانیکیا باستخدام الفرر والفرش المختلفة ثم إزالة بقع الصدأ الخضراء باستخدام 5% ملح روشیل اتبعه 5% حمض ستریک ذائب فی الماء المقطر والشطف الجید بالماء المقطرثم التجفیف بالکحول وبعد اتمام التجفیف تم تدعیم السطح من الداخل فی الاماکن المفقودة باستخدام ألیاف زجاجیة والبارالوید ب 72 الذائب فی الاسیتون بنسبة 15% ، ثم استکمال السطح الخارجی باستخدام مالئ نانو أکسید النحاس الذائب فی 50% البارالوید ب 72 الذائب فی الاسیتون وأخیرا تم عزل الإبریق باستخدام 4% البارالوید ب 72 الذائب فی الاسیتون. ثم استکمال السطح الخارجی باستخدام مالئ نانو أکسید النحاس الذائب فی 50% البارالوید ب 72 الذائب فی الاسیتون وأخیرا تم عزل الإبریق باستخدام 4% البارالوید ب 72 الذائب فی الاسیتون. 1- Abd El-Rahman, Y., Surour, A.A., El Manawi, A.H.W., Rifai, M, Abd El Motelib, A., and El Dougdoug, A.M., “Ancient mining and smelting activities in the Wadi Abu Gerida area, central eastern desert, Egypt, preliminary results”, Archaeometry, 55, 2013, pp.1067-87. 2- Dmitri, K.," The Metallographic Examination of Archaeological Artifacts", Summer Institute In Materials Science And Material Culture, 2003. 3- Frame, L.D., Freestone, I.C., Shu Yan Zhang, and Nicholas, M., “The effects of corrosion and conservation treatments on non-destructive neutron diffraction analysis of archaeological copper alloys: preliminary results”, Archaeometry, 55, 2013, pp. 68-80. 4- George Brinton Philips, “The Composition of some Ancient Bronze in the Dawn of the Art of Metallurgy”, American Anthropologist, New Series, Vol.24, 1922. 9- Ivan De Ryck, Emmanuel Pantos and Annemie Adriaens, “Near Eastern ancient bronze objects from Tell Beydar (NE-Syria): into their Corrosion”, Euro-physics News, Vol.38, No.5, 2007. 10- Loïc C. Boscher, "Reconstructing the Arsenical Copper Production Process in Early Bronze Age Southwest Asia", PhD, University College London, UCL Qatar, 2016. 11- Lutfia. H. Khalil, “The Composition and Technology Of Copper Artifacts From Jericho And Some Related Sites”, PhD, Department of Archaeological Conservation and Materials Science, Faculty of Arts of the University of London, 1980. 12- Maickel Van Bellegem, Philip Fletcher, Paul Craddock,Susan La Niece and Richard Blurton, "The black bronzes of Burma", The British Museum, Vol.1, 2007. 13- Martin Odler, "Old Kingdom Copper Tools and Model Tools", ARCHAEOPRESS Publishing Ltd, Oxford, 2016. 14- Meliksetian K., Schwab R., Kraus S., Pernicka E.and Brauns M., “Chemical, lead isotope and metallographic analysis of extraordinary arsenic-rich alloys used for jewellery in Bronze Age Armenia”, Metalla (Bochum) Sonderheft, 4, 2011 1-294. 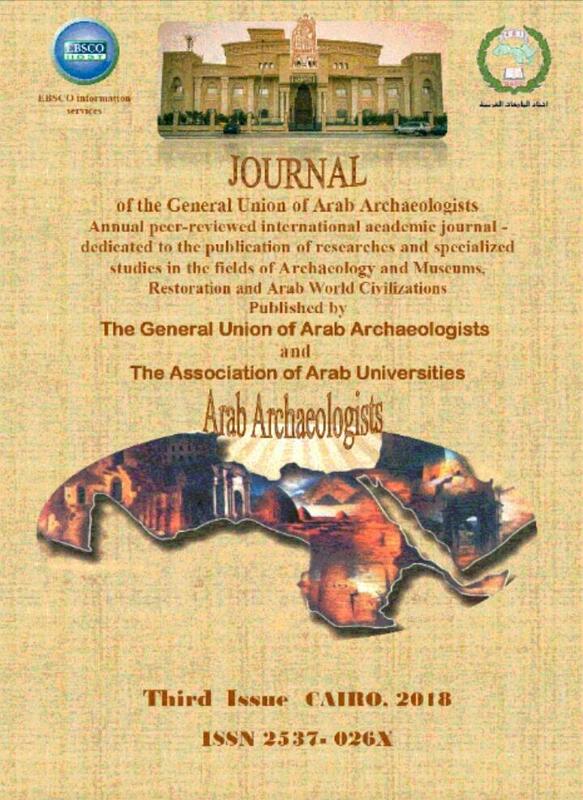 15- Mohamed Ghoniem, “The Characterization of a Corroded Egyptian Bronze Statue and A Study of the Degradation Phenomena”, International Journal of Conservation Science, Volume 2, Issue 2, April-June, 2011, 95-108. 16- Mohamed, W., and Darweesh, S., “Ancient Egyptian Black-Patinated Copper Alloys”, Archaeometry, 54, 1 (2012) 175–192. 17- Reardon, A.C.," Metallurgy for the Non-Metallurgist", ASM International, 2011. 18- Schorsch, D., "Copper Ewers of Early Dynastic and Old Kingdom Egypt in Antiquity", Philipp Von Zabern, Mainz am Rhein, 1992. 19- Scott, D.A., Metallography and Microstructure of Ancient and Historic Metals, the Getty Conservation Institute, the J. Paul Getty Trust, 1991. 20- Scott, D. A. Copper and Bronze in Art: Corrosion, Colorants, Conservation. Los Angeles, J. P. Getty Museum, 2002. 22- Selwyn, L., and Binnie, N., “Metal corrosion rates in aqueous treatments for water logged wood- metal composites”, Journal of studies in conservation, 38, 1993, pp. 197-180. 23- Srinivasan, S., and Ranganathan, S., “Nonferrous Materials Heritage of Mankind”, Trans. Indian Ins. Met., Vol.59, No.6, December 2006, pp.829-846. 24- Stephen Michael Vinson," Boats of Egypt before the Old Kingdom", M.A, College of Texas A&M University, 1987. 25- Subramanian, P.R., and Laughlin, D.E., “The As-Cu (Arsenic-Copper) system”, Bulletin of alloy phase Diagram, Vol.9, No. 5, 1988, pp.605-617. 27- Von der Fakultät für Werkstoffwissenschaft und Werkstofftechnologie', “Material properties of copper alloys containing arsenic, antimony, and bismuth The material of Early Bronze Age ingot torques”, PhD, Technischen Universität Bergakademie Freiberg, 2003.